The Beatles’ first recording contract, which was signed in 1961 in Hamburg, will be auctioned in New York next month. According to specialists, the six-page contract could fetch $150,000. 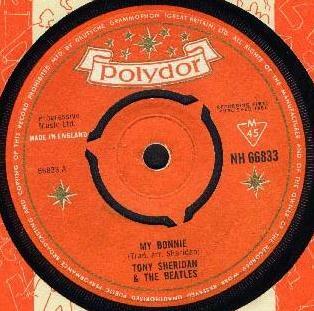 The contract led to the single My Bonnie, which was released on Polydor in Germany under the name Tony Sheridan and the Beat Boys. It will be auctioned by Heritage Auctions on September 19. John Lennon signed the document JW Lennon and Paul McCartney signed his full name James Paul McCartney. The contract was also signed by George Harrison and Pete Best, the drummer who was to be replaced by Ringo Starr the following year. The Beatles were backing Tony Sheridan at Hamburg’s Top Ten Club at the time, and together they were signed by German record producer Bert Kaempfert to record a rock’n’roll version of My Bonnie Lies Over the Ocean. The papers are being sold by the estate of Uwe Blaschke, a German graphic designer and Beatles historian, who died in 2010. The auction also includes a signed copy of the band’s first UK single Love Me Do and a postcard Ringo Starr sent to his mother from Hamburg.